Feeling confident? Feeling street worthy? Feeling speed? Well if you're not, these shorts are. The 2in1 7inch design provides the perfect combination of compression and mid-stride freedom. An adjustable waistband ensures a great fit for different body shapes and inner flex fabric is designed to stretch and provide faster blood flow back to your heart. The shorts come with two pockets for your keys or a gel and that comes designed with a vapour barrier that prevents sweat, keeping your valuables dry. 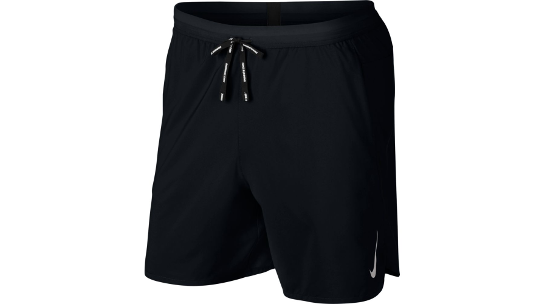 An elastic waistband means that you can decide how tight or loose the shorts are and reflective elements on the side are designed to keep you safe in low-lit conditions. Zip pocket on the centre-back has a vapour barrier to help guard items from sweat. It is big enough to hold a phone. 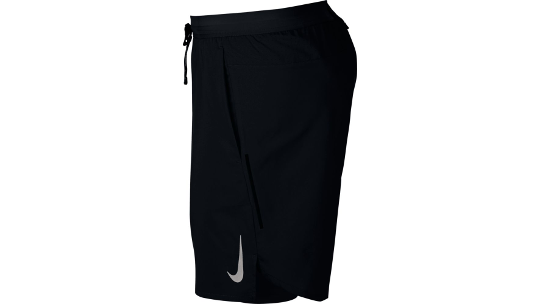 7"/18cm inseam on the outer shorts lets you move freely. Fabric: Shorts: 100% polyester. Tight: 89% polyester/11% elastane. Tight panels: 84% recycled polyester/16% elastane. Waistband: 63% nylon/37% elastane.